This series is a gem in the BBC's crown, recent years Sunday night dramas have been lacking something. As a child I was brought up with drama series including All Creatures, Great and Small and Heartbeat. In the absence of my closest family I find this offering both comforting and, at times, heartbreaking. It's not as soft around the edges as some period pieces. Saying that I haven't seen either Downton Abbey or Mr Selfridge, there is only so much TV a girl can watch before her eyes begin to melt. I like the fact they don't shy away from difficult storylines and have included key moments in medical history into their world. Series 3 has noted the introduction of breathing through the pain during labour - which is still used today - and the use of antibiotics to treat patients. Seen as a cure all, it was where the over-prescription of the medication first started and resistance began to build. Set post-war in East End London, the young midwifes and nuns are at the beck and call of the run down residents in slum like conditions. Times are changing and so is the series. What used to be a nice comforting watch is now broaching tougher and more emotional story lines, following nurse Jenny Lee played by Jessica Raine, now a sister. 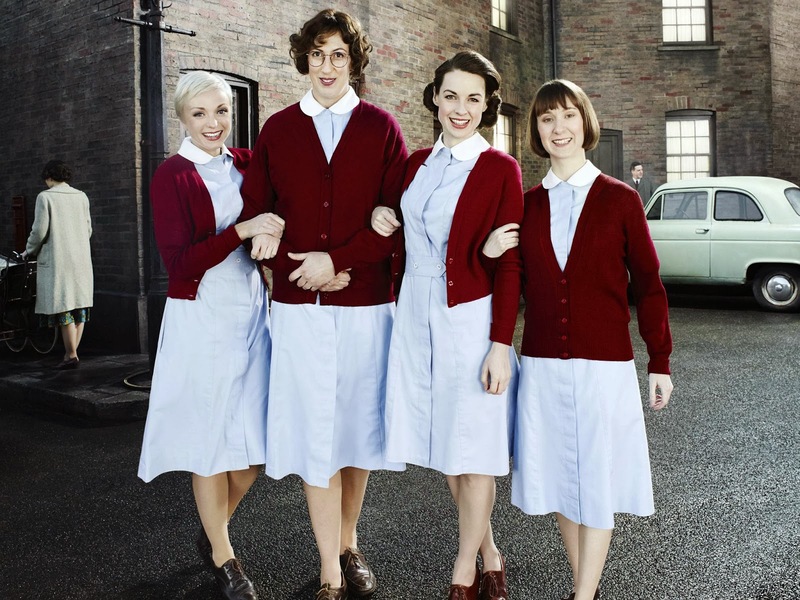 We've seen Chummy (Miranda Hart) develop from being an awkward midwife to being a confident mother and wife, and then returning to Nonnatus House as a part-time midwife. I can't wait to see what is in store for Trixie and Cynthia this year.